The Neotrope News Network comprises both regional news portals and industry focused online magazines. We do not aggregate content from other sources and we have a diverse staff of professional journalists here in the U.S. managing our network. Based in Redondo Beach/Torrance, Calif. (Los Angeles), USA, Neotrope is an entertainment publishing company established in 1983 by Christopher Laird Simmons (member ASCAP and PRSA). Neotrope is listed with D&B, member BBB, member GS1, and an Inc. 5000 company in 2009. Copr. © 1983-2016 by Neotrope®. 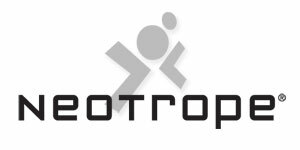 Neotrope is a registered trademark and service mark in the U.S. and Europe - all rights reserved. CaliforniaNewswire® and Send2Press® are U.S. registered trademarks and service marks of Neotrope.